Our goal is to provide the very best in a wide range of meeting and event marketing and planning services. Our objective is to market your business through programs that will target your audience and capture them to join your brand. By allowing people to experience and interact with your company’s product or service while participating in an event, you are connecting with potential buyers. We also create corporate events that motivate, train and empower your employees to continue to be dynamic. We want you, our valued client, to be happy and stress free! 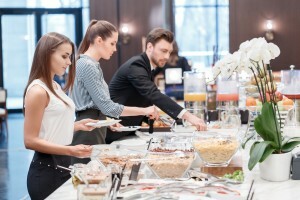 Pre-Event Logistics– The genesis to create a unique experience for the professional gathering. There is no responsibility to great, whether it’s event design, venue selection, interface with vendors and suppliers, coordination of attendees and speakers, registration, plan transportation, arrange lodging, etc. Onsite Logistics– There is no substitute for having a meeting and event logistics engineer that is on-site and ready to respond immediately to any challenge or unexpected issue, before, during and after your event. Exceptional Occasions, LLC focuses on on-site event logistics to ensure objectives are achieved with the military precision. We are the first to arrive to confirm venue and suppliers’ set-up for our client and guests. We are the last to leave ensuring everything brought for a meeting or event is removed in a timely manner. The overall objective is to make sure every moment of the meeting or event is valued, cherished and relatively stress free..
Post-Event Logistics– Just because the event has end, it doesn’t mean the event has concluded. Exceptional Occasions will assist clients to ensure proper follow-up is conducted, which sets you apart from the competition and keep you fresh in the minds of your participants. We will make certain final reviews are conducted and outstanding invoices are paid. 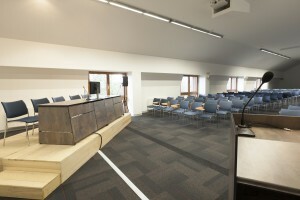 Conferences – designed to meet a specific objective. Symposium – experts in a given field meet to discuss issues and trends. Seminars/Workshops/Trainings/Webinars – information sharing about a specific topic, or to teach a specific skill. Business Breakfasts/Lunches – informal or formal setting in which the purpose can also be social. Dinners/Banquets/ Galas – formal activity to celebrate achievements and to boost employee and member morale. Day Retreats/Team Building – get team members to know each other better and become more efficient as a team. Customer Appreciation Parties – show your customers how much you appreciate them. Product Launch Events – create a buzz around the release of your new product or service. Receptions – get-togethers organized for people with similar interests such as networking. 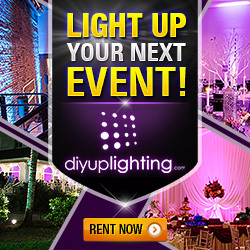 Holiday Parties – perfect opportunity to invite clients, prospects, media members, and employees. Fundraiser – raising money for a cause or organization. Tradeshows/Exhibits – position your brand as an industry leader and to generate new leads. Live Streaming Events – completely integrated end-to-end live video solution for customers of all sizes. Family events – celebrate major life events and religious ceremonies.